Welcome, 2019! 2018 has been an exciting year for us. 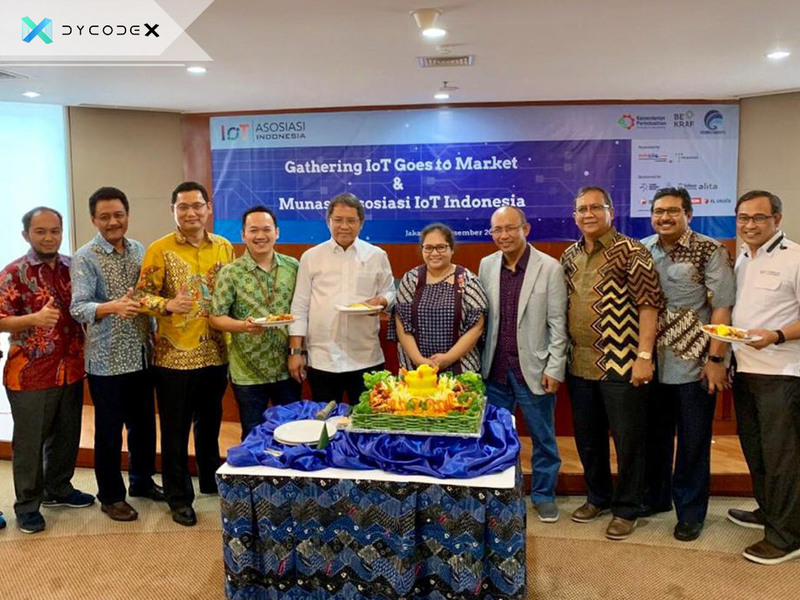 As the leading IoT company in Indonesia, DycodeX has achieved notable milestones this year, from our product being featured in a global, Google-sponsored stage to DycodeX as the only IoT company representing Indonesia in an MoU signing at BIMP-EAGA cooperation. As the year is coming to a close, there is no better time for us to showcase our achievements for the year and share them with you. To do so, we’ve prepared a special page so you can have a look in one convenient timeline. Take a look at our 2018 Milestone here. DycodeX CEO Andri Yadi at Google Demo Day Asia. In 2018, DycodeX is proud to have pushed our boundaries and achieved new milestones that ever in the field of IoT. This year, we represented Indonesia in Google Demo Day Asia, one of the world’s largest startup pitching event. DycodeX CEO Andri Yadi shares his personal account on the challenges and excitement of taking SMARTernak to the grand stage of Google Demo Day Asia. Click the photo below to read more. DycodeX Representing Indonesia’s IoT Industry at BIMP-EAGA 6th Cluster Meeting. DycodeX has signed an MoU with BIMP-EAGA (Brunei, Indonesia, Malaysia the Philippines and Timor Leste – East ASEAN Growth Area) for IoT Technology Cooperation. DycodeX meeting with the President of the Republic of Indonesia, Joko Widodo. DycodeX represented the Indonesia’s IoT Industry to the President of the Republic of Indonesia, Joko Widodo at “Leaders of Tomorrow” event at BCCF Simpul Space Braga, Bandung, West Java. DycodeX supporting RIoT 2018 as Official Technology Partner. DycodeX has also supported Republic of IoT (RIoT) 2018, the largest IoT makers event in Indonesia, as the Official Technology Partner. Thank you for being a part of our wonderful, experience-filled journey of 2018. Now, hop along on our train in 2019 as we will have much more to offer to the Indonesian IoT industry with our latest products and innovations.